Would you like to add a unique mood to your photos? 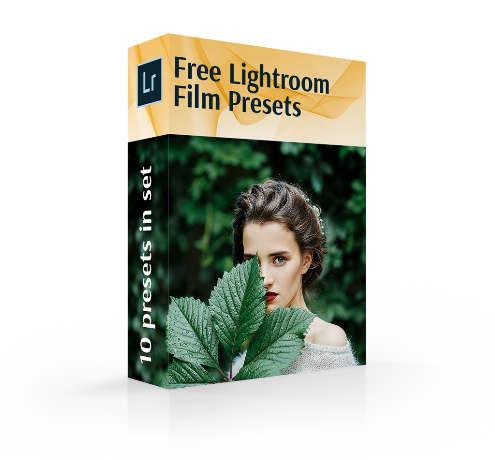 Then look at our collection of 10 FREE Film Lightroom Presets. Download it and change shots in a few simple steps. Experiment with curves, adjustment of colors and grain to receive an old film result. You will not find a better set of film presets as our developers chose the most outstanding examples of films to replicate graininess, color correction and contrast. Try any of presented free dreamy Lightroom presets and see how great they can improve the photo but still preserve its natural look. These top Lightroom presets are easy to use, so you don’t have to be a professional photographer to use them. 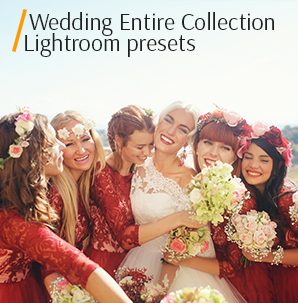 So feel free to download film Lightroom presets to all photo genres: portraits, street, architecture, wedding. etc. Learn more about how to use Lightroom presets and save much time on photo color correction. LR Preset #1 "Apple Juice"
LR Preset #3 "Light Colors"
LR Preset #4 "Tonning Warm"
LR Preset #9 "Cool Shine"
Take advantage of this bundle of Free Film Lightroom presets for image editing in desktop or mobile version. It will help get bold colors and high contrast to make the photo look like a film shot. 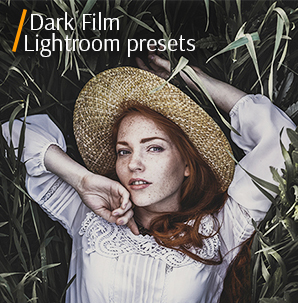 Download any Lightroom film preset for free and speed up the process of picture editing twice and receive a consistent look on your photos. As a result, you’ll get fantastic images. Any film preset for Lightroom from this collection is ideal for fashion, editorial, lifestyle, travel, street, and architecture photography. Our plugins are designed by taking into consideration all the specific features of film photos. The low contrast of white and black picture points is one of the main characteristics of this type of photography. The film is designed in medium colors and intends to present only muted or low colors. Preset Lr Film Free #1 "Apple Juice"
This preset was taken from "Matte Effect"
This film preset for Lightroom can be applied to any photo to make it look like a film shot. It helps get a warm and matte tone of the picture as well as unique graininess. Lightroom Film Preset #2 "Pumpkin"
If you want to add a cinematic tone and some romantic flair to your photos, then choose the following film preset. It can be applied to any type of photography but goes better with wedding shots, portraits, and pictures taken while traveling. Film Preset for Lightroom #3 "Light Colors"
This film look Lightroom preset helps reduce the contrast and change the light/shadows settings. 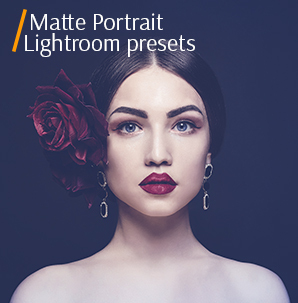 This plugin will be perfect for landscape photography as well as portraits. Lr Preset Film Effect #4 "Tonning Warm"
This preset was taken from "Matte Dream"
This film effect Lightroom adds special coziness, warmth and gentleness to a necessary shot. It can be applied to children’s photos, women’s portraits and fine arts. Lightroom Preset Film #5 "Grains"
It adds free film grain to the photo that is especially visible in the shadowed areas. The preset will be a perfect choice for portraits or shots with close-up objects. Film Preset Lightroom #6 "1960"
This preset was taken from "Vintage Love"
This analog film preset adds grain, low contrast and dim colors to your photos. Highly recommended for the backlit portraits taken at the Golden or Blue hour. Film Lightroom Preset #7 "Pine"
"Pine" LR film preset may be applied to boudoir photos, and portraits for emphasizing the skin texture. As a result, shooters get pastel image undertones and accent on the soft skin tones. Preset Lightroom Film #8 "Vintage"
Use this retro Lightroom preset to get expressive “vintage” pictures with dim colors. It goes well with shots that contain a lot of blue and its tints like water, sky, etc. Film Effect Lr Preset #9 "Cool Shine"
This Lightroom preset film is recommended for portraits or any other type of photography with models. It can help emphasize some dark photo areas to draw viewers' attention to the main subject. Film Preset Lr Free #10 "Beige"
This film preset Lightroom free will give pictures light blurring, soft colors and vignetting. Apply it to any type of photography. Using the given film presets will both help get brilliant results and save plenty of time. Now the image editing will turn to be a real pleasure. Devote some time to test all of these film look Lightroom presets to improve the quality of your shots in just a few clicks. Do you want more Lightroom Presets for different photographs? Check out what photo editing freebies we have.